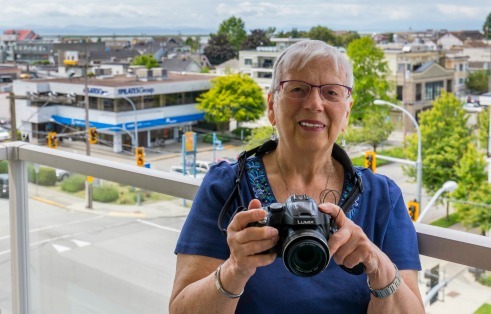 Sechelt was home to Carol until she made the move to The Maples in 2012. “I like the village atmosphere and being so close to the water, the location is so easy for walking and there is lots to do, have a coffee, drop into the shops or browse around the heritage sites on my doorstep.” Carol is a photographer who enjoys capturing the scenery and wildlife in the area. Some of her pictures you will see in our photo gallery.